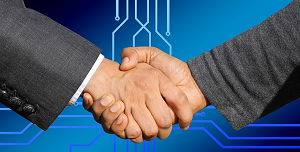 In the telecom space, specifically the unified communications (UC) industry, we've seen more than our fair share of change, particularly from acquisitions and reorganizations in the past year. Increased M&A activity is a trend that's likely to continue through the next few years, to the benefit of the remaining vendors as well as customers. While there is a long list of industry changes that occurred last year, from Avaya's bankruptcy-fueled reboot to Mitel's absorption of ShoreTel and Toshiba's UC business, there's much speculation as to how these changes impact the outlook for UC and UCaaS vendors in the near term. But there is definitely a common theme that emerged from the activity -- cloud adoption is the driving force behind these market consolidations. Consider that more than $400 million in revenues is being generated each quarter in the UCaaS market, according to Synergy Research Group. That's approaching $2 billion each year, with an associated annualized growth rate of 29%. For those of us in this industry, the growth in revenues toward UCaaS isn't surprising. We've watched customers invest more in cloud-based applications and services in all areas of their businesses. There are many advantages to customers, particularly small businesses. Cloud allows for a more flexible network structure that's easy to scale with growth or seasonal variants; and without having to maintain a server, it frees up your data closet and eases the strain of onsite management concerns, often reducing or eliminating the need for in-house IT support staff. Perhaps one of the most appealing benefits of transitioning to cloud is the Opex approach to budgeting for technology, with low or no upfront capital expenditures. Even the remaining hardware that is required -- IP phones -- is usually available through inexpensive rental options. The flexible monthly pricing plans that are commonly offered by vendors under a software-as-a-service (SaaS) model provides businesses with a more predictable way to budget for common, otherwise costly, IT and communications expenses. Customers aren't the only ones who find the SaaS model appealing. Wall Street, while initially hesitant about how to handle the deluge of cloud-based business models, now views recurring revenues from SaaS organizations very favorably. It also helps that the adoption of cloud-based technologies, which originally gained hold in small businesses, has now grown consistent across all industries and company sizes. Investors don't see this trend slowing anytime soon. And while SaaS startups initially pioneered the market for cloud-based service offerings, more established organizations are making the shift. Why? The lure of contracted and predictable revenue flows with the resulting higher multiple valuations is a tempting appeal for any management team. With the improved visibility into future revenues, it's easy to see why Wall Street is attracted to this model, as well as investors and vendors with legacy revenue models... which brings us back to market consolidation. One hurdle of a model-shift toward providing SaaS is that many vendors have found it takes time to transition from a legacy revenue structure to a recurring model. Even a successful transition creates a temporary cash flow trough that puts pressure on the soundest of balance sheets. Thus, for those longtime UC vendors still heavily invested in hardware and on-premises communication systems, it makes sense to acquire competitors with more agile cloud-based PBX solutions that are already ahead of the game when it comes to having predictable and growing recurring revenues on the books. 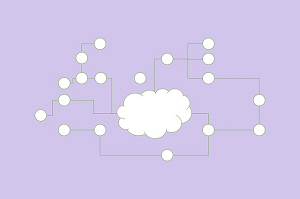 With the continued emphasis on cloud and its adoption across the SMB and enterprise segments, it's tempting to discount the future role of on-premises systems. However, there are segments of the business customer base where an on-premises deployment still offers value -- either through use cases where local deployment provides improved utility or when it simply represents a lower total cost over time. In that vein, many larger organizations with significant investments in virtualized infrastructures have invested heavily in on-premises UC solutions due to the low incremental cost of deploying UC alongside other critical business applications. Abandoning that foundation, in this case, is a much broader company strategy decision, not a point decision on a particular application. Given that on-premises appliances aren't going away tomorrow, this is yet another argument for industry consolidation. Vendors that are best equipped to serve the needs of the total market are those that can address multiple deployment alternatives. Established, hardware-based vendors need a way to extend market longevity for their legacy appliances while also affordably transitioning to a SaaS revenue model. Additionally, buying an existing recurring revenue stream helps to mitigate the effect of that cash flow trough that results from converting an existing customer base from an upfront to a recurring revenue model. Where does this leave the industry going forward? Expect to see more mergers and acquisitions. But, perhaps the largest unknown factor is the role of goliath-sized industry outsiders, like Amazon and Google. These new-age conglomerates are racing to dominate cloud services and have already proven effective in crossing industries and service types to build indisputable power houses. As the demand for expanded collaboration capabilities grows, could it be that one day they own the UCaaS market as well? While it's too early to speculate on how successful they will be, expect that some of those recently consolidated UC industry leaders will have to use their newly bolstered coffers to stave off the unpredictable outside-of-industry giants. Regardless, it's a safe bet that there are two interim winners in the industry's evolving landscape. The first clear winner is the customer. Consolidation means that the new, larger companies can theoretically benefit from increased scale, thereby lowering costs to customers. Additionally, consolidation offers the promise of enhanced efficiency, freeing funds previously used for overhead function to be redirected to improving the customer experience or enhancing product capabilities. With pressure from the likes of Amazon and Google, it's possible that we'll even see a new, completely disruptive pricing model in cloud services. No doubt, the other winners are those companies that, through well-planned acquisitions, are among the last standing in a consolidating industry, resulting in fewer competitors, higher revenues and increased organizational stability. It's an interesting time to be part of the UC industry. And the year ahead should prove to be at least as intriguing as the past 12-18 months.